A number of Democratic gubernatorial and senatorial candidates from across the country have been stumping for single-payer healthcare as part of their 2018 midterm election platforms. Voters are now closely divided on whether the federal government should provide healthcare for everyone even though most believe their personal taxes will increase as a result. Health care remains a major focus of the public discussion as premium prices rise and choices dwindle. Throughout the summer and into the fall, Obamacare insurers will announce decisions about the prices they want to charge and plans they want to offer next year, submitting them to regulators for review and approval. Why are premiums increasing so much? Research shows prices have been rising steadily — while choices have been falling — since Obamacare was first implemented, more than doubling in some places because of its failed policies and regulations. Average premiums for individual insurance rose 105% in the first 4 years after Obamacare took effect — from $232 to $476 per person, per month. Moreover, Obamacare is forcing people to pay more for less. In more than half of U.S. counties, Obamacare exchange customers have a “choice” of only one insurer. Networks are narrower, and access to doctors and hospitals is limited. The results include: fewer people had individual policies in December 2017 than in 2014, the first year in which Obamacare took full effect; and the number of small firms offering health benefits to their workers dropped by 24% between 2012 and 2016. What is being done to lower costs and increase choices? Large health insurers have joined the parade of startups investing more in marketing and operations to expand their geographic footprints and sell more individual coverage under the Affordable Care Act. Anthem, the nation’s second-largest health insurer, said last week its performance has improved from last year when losses triggered a major retreat from Obamacare. So much so, Anthem last week said the number of individual customers dropped by more than 1 million to 712,000 in the second quarter compared to last year. But Anthem executives say the insurer’s ACA individual business has stabilized enough that the operator of Blue Cross and Blue Plans in 14 states will expand in 2019 near areas where it still offers Obamacare coverage. It didn’t specify what states would see expansions, executives said in an update last week during Anthem’s second quarter earnings call. The Trump administration took another whack at the Affordable Care Act on Wednesday. Officials unveiled a final rule that will make it easier to obtain coverage through short-term health insurance plans, which don’t have to adhere to the law’s consumer protections. The move would reverse an Obama administration decision to limit the duration of short-term plans to no more than 90 days in order to make them less attractive. Insurers will soon be allowed to sell these policies for just under a year. They can be renewed for up to 36 months, though that renewal isn’t guaranteed. Administration officials say the short-term plans will provide a cheaper health insurance alternative for those who can’t afford to buy coverage on the Obamacare exchanges. “We fully recognize that these products are not necessarily for everyone, but we do think they will provide an affordable option to many, many people who’ve been priced out of the current market under the Obamacare regulations,” said Randy Pate, a deputy administrator at the Centers for Medicare & Medicaid Services. But patient advocates and health policy experts argue that these policies provide only skimpy coverage and will undermine the Affordable Care Act… Read More at CNN. 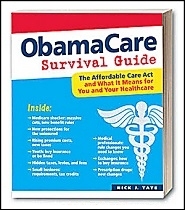 The Affordable Care Act (ACA), popularly known as Obamacare, is hanging on by the skin of its teeth. So far, the act has proven resilient against Republican efforts to repeal it and the Trump administration’s attempts to defund it – but with premiums projected to soar by an average of 15% in 2019, the future of the ACA looks very dark. Nothing drastic is likely to happen to the ACA before the midterm elections on November 06, according to Eric Wilson, principal of Wilson Associates, a company that specializes in healthcare insurance. Obamacare is likely to stick on the books until 2020 because “Congress needs time to get things done,” he said. A majority of the public says they hold the Trump administration and Congress accountable for any problems with ObamaCare because they have made changes to the law, according to a poll released Wednesday. The Kaiser Family Foundation tracking poll found that a majority of those surveyed — 58 percent — said they hold the administration and Republican members of Congress responsible for any problems with the ACA since they have made a number of changes to the law. According to the survey, most of the public also say they think President Trump and his administration are trying to make the Affordable Care Act fail. When the Trump administration announced a few weeks ago that it would freeze important Obamacare payments to health insurers, it wasn’t clear whether it was once again trying to sabotage the law, or needlessly introducing uncertainty to the law’s insurance markets, or both, or maybe neither. Whatever it was, the Health and Human Services Department took action Tuesday to fix the problem, get the money flowing again, and remove any unnecessary doubt for insurers over billions of dollars in payments they were expecting. Young adults would receive more government help to pay for Obamacare plans under a House bill introduced Wednesday. The Advancing Youth Enrollment Act, by Rep. A. Donald McEachin, D-Va., would aim to bring more people between the ages of 18 to 34 into the Obamacare marketplaces by increasing the amount of tax credits they receive to pay for health insurance premiums.